We offer items from brands you know and trust, such as Titleist, Bridgestone, Callaway, Nike, and TaylorMade. 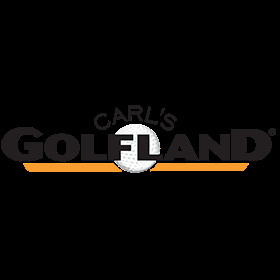 We select only the best names in golf because we want all of our customers to feel assured that they are getting the best product at the best price from us. Performance, reliability, and consistency are some of the qualities that make Titleist Pro V1 balls the top choice for the competitive golfer. With a history of providing sharper trajectory, longer distances, and a smooth feel, they are sure to up your game with ease. When you find your new favorite in Titleist golf balls, you will enjoy them round after round without worry. Superior craftsmanship ensures they will remain durable and reliable, even for the toughest competitors. If you’re looking for an item with a unique personal touch, you may want to consider personalized golf balls. You can have them customized with any text you like, making them a great gift for the golfer in your life. These selections barely scratch the surface of our wide array of golf balls. If you’re not exactly sure what golf ball is right for your game, get in touch with one of our friendly associates. We love to help our customers find items that are perfect for their needs, so come into one of our stores, shop online or give us a call today. We also offer free returns for new and unused items so if you receive your item and it’s not right for you, simply return it and get your money back. We also offer fast shipping, so that you can get your order as soon as possible.